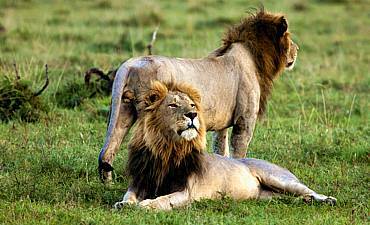 Are You Planning A Kenya Family & Kids Friendly Safari? Scroll Down.. Seeing Kenya through your child’s enlightened eyes is an incredibly heartwarming and joyous experience. Kenya offers almost endless natural, cultural and historical resources that open every child’s imagination to a new world. While on your family vacation in Kenya, watch as your child’s mind opens to new insights and vast possibilities. Listening to their stories at the end of the day is engaging and delightful. 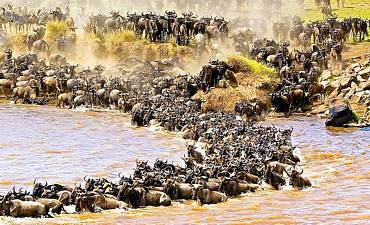 You are amazed at how much they learn from just game viewing along the mighty Mara River, witnessing the Great Migration, nature walk around the campgrounds to inspect varied flora, droppings and insects to spending a few hours with a Maasai family! Start your child’s journey of discovery and adventure today by arranging your AfricanMecca family safari trip to the land of diversity – Kenya! 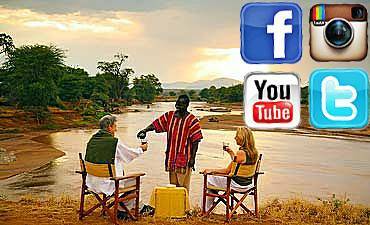 Africa is a perfect safari destination for your family. 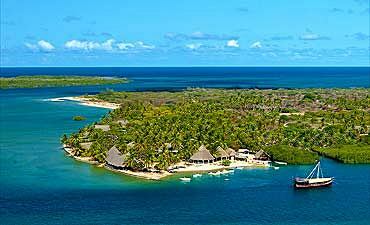 The wildlife, scenery and cultures offer a dream-like experience that you will find nowhere else in the world. 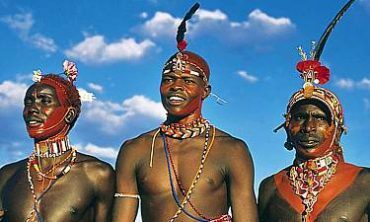 Your utmost priority is ensuring that you and your children remain safe and healthy for the duration of your Kenya tour. Luckily, this only requires some basic considerations on your part. Your family will need to have some vaccinations before your trip, and your physician can advise you as to the recommended immunizations, as well as malaria prophylaxis. To protect yourselves against mosquitos while in-country, we recommend that you bring insect repellent and only stay in accommodations with mosquito netting on the windows and/or over the beds. Temperatures do vary in Kenya at different times of the day and wilderness, so bring warm clothes to keep your household comfortable during the mornings and evenings. Lastly, you should arrange for safe, comfortable travel and accommodations. 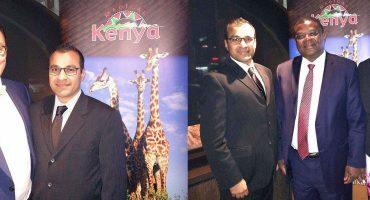 Your AfricanMecca tour representative is always available to help you with any of these arrangements. 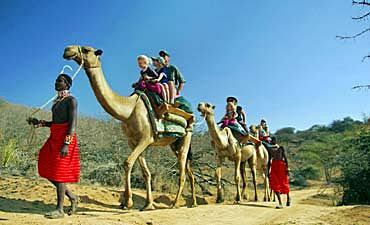 Kenya offers a variety of family accommodations to fit any budget, so you needn’t over-extend yourself financially. 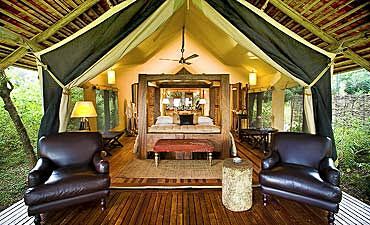 We can help you find the best accommodation within your monetary requirements, from large lodges to small, charming safari camps. Some camps in Masai Mara, Amboseli, Laikipia, Samburu and other destinations even offer larger family tents so that you can stay close to your children. Children under 12 years normally have a discounted rate when sharing the room. Few lodgings also have discounts till the age of 16 years while others have seasonal specials for free stays for the first child. 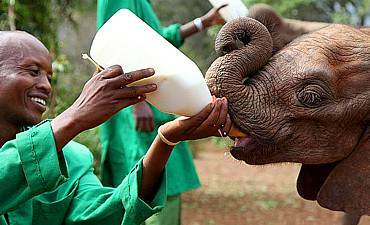 Additionally, your camp or lodges in Kenya should be willing and able to meet any special dietary requirements of your children and offer fresh, healthy and wholesome food. We know which accommodations have proper children’s menus or are happy to prepare food that meets the unique requirements of kids. Additionally, distinct lodges and camps have special activities for youngsters. Most of the safari activities in Kenya are guided, so you should seek out accommodations that cater to the special interests of children during outings. Some of the qualities we look for in guides are patience, focused attention on children while around wildlife, entertaining anecdotes and educational insights, to name only a few characteristics that make a guide an exceptional resource for children. 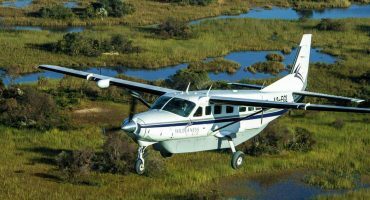 The time of year that you plan your Kenya wilderness trip is another factor that affects your family holiday in East Africa. Most households travel during school breaks, such as summer, Easter and Christmas. 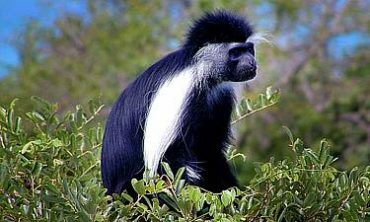 For this reason, you may experience high levels of visitors, especially in the most-popular attractions like the Mara. 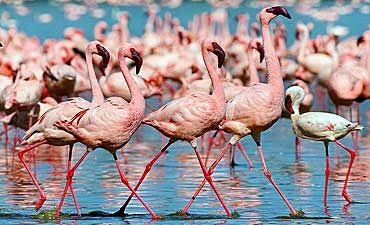 Summer is especially popular due to the Great Migration and ease with which wildlife can be observed. Weather patterns also vary throughout the year, and we advise you as to the climate considerations and impact on safari activities, as well as wildlife behaviors and viewing. 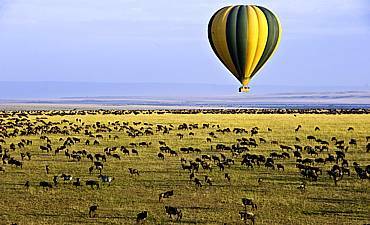 If you plan to travel to Kenya over Christmas, we recommend that you book your flights early. Travelers from Europe and the United States fill the flights quickly. 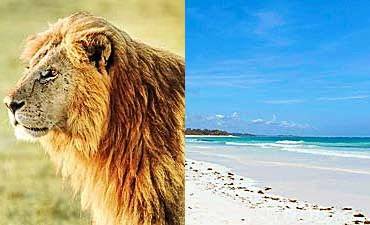 But Kenya offers the opportunity to spend an otherwise wintery holiday on white sands beaches along the warm, gorgeous Indian Ocean or viewing migratory species along turquoise blue lakes amidst the volcanic landscape of the Great Rift Valley. 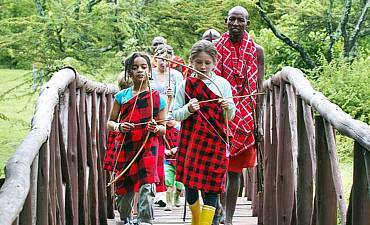 With so many options to choose from for your child-friendly tour of Kenya, AfricanMecca provides the expert guidance and personal insight you need to give your clan the journey of a lifetime! 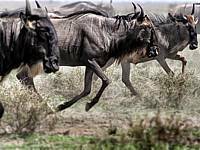 One of our favorite family destinations is Laikipia due to the varied activities available at its private conservancies. 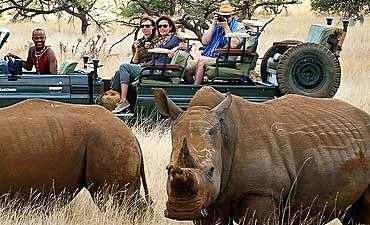 The distinct accommodations in Laikipia offer programs just for children. Your child spends time with a Samburu or Maasai naturalist learning about the flora and fauna especially the smaller things in the bush normally missed on game drives, as well as ways to live off the land while in the bush. This will evoke your child’s survival imagination with a creative obstacle course e.g. 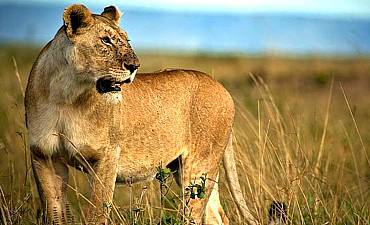 a child to pretend to be an animal in the East African wilderness and ways for it survive and defend its family. 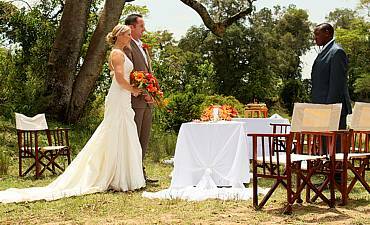 Sosian Ranch in Laikipia is a fine example that offers families an intriguing and delightful African vacation. All of the activities are appropriate for children and adults alike. Children enjoy spending time with their parents during game drives, walking safaris, fishing, archery and swimming in a pool at the bottom of a beautiful waterfall. 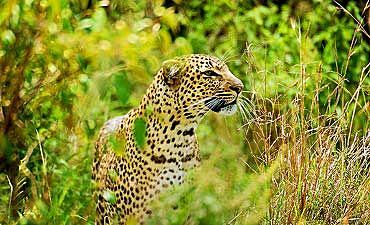 The abundant wildlife includes hippos, elephants, buffalos, hyenas including nocturnal fauna like bush babies, aardvarks, serval cats and many other herbivores and carnivores. Even the trees, bushes and other land features are worth exploring, as more than 350 bird species have been recorded at the ranch. But the fun of Sosian doesn’t stop there! Your child can also ride a camel across the shrubby plains, peer into the darkness to see the glowing eyes of wildlife during night game drives and even help out on the ranch by tending the cattle! 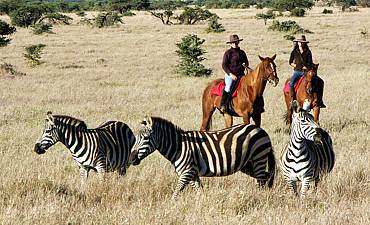 The ranch also has horses and ponies for equestrian riding safaris. 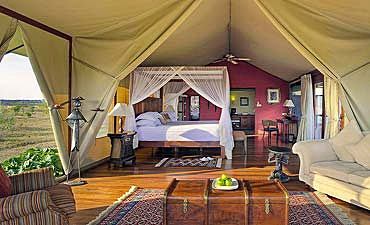 Another Kenya accommodation that has special activities for children is Leleshwa Camp in Masai Mara. AfricanMecca can arrange lessons from a Maasai Morani warrior in spear making and throwing, beading with Maasai women, learning tracking techniques, helping the camp chef prepare bread that is shaped like animals, in-camp treasure hunting especially egg hunting during Easter, storytelling through art and so much more! Additionally, the camp is designed to give your little one plenty of space to roam and perform safely under the watchful eye of the parents and their guardian guide. The staff and owners of Leleshwa treasure the youngsters that come to visit, and they take every chance to teach your child in fun and engaging ways. 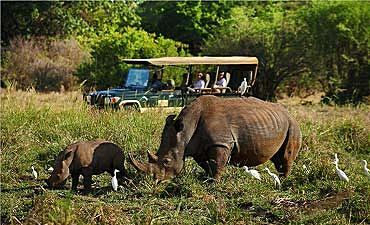 Special “kids only” activities are available to guarantee your child an engaging African safari. Located on a private ranch in Chyulu Hills, Camp ya Kanzi is an exceptional place to spend your dream holiday in Kenya with your family! The camp is part of a community improvement project on a private ranch. This arrangement gives you and your child the opportunity to learn about the Maasai Wilderness Conservation Trust and preservation efforts in general. The name means “hidden treasure,” and the camp certainly lives up to this reputation! All of the activities are child-appropriate. Being on a private ranch means that your child is completely immersed in the experience without the distraction of crowds or governmental restrictions on activities. 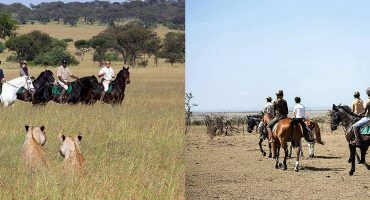 Family activities include bush walks with Maasai trackers, hiking in the cloud forest of Chyulu Hills, horseback riding tours, cultural visits and much more. You can even treat your child to a spectacular meal in a secret cave! Should you desire a homely experience during your time in Kenya, AfricanMecca Safaris recommends that your family stay in the Mara Bush House in Mara North Conservancy. The private house is set amidst the 74,000 acres of Mara North, so your family has an expansive wilderness area to explore. 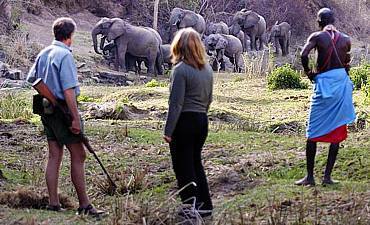 We can arrange fully-guided game drives, including night drives, as well as village tours, bush walks, balloon safaris and much more. When you return to the house, you are embraced by an intimate and cozy space that feels like home. The house features a private verandah, living area and three ensuite bedrooms. You need only concern yourself with family-centered experiences, as a private chef and other staff tend to your every wish. 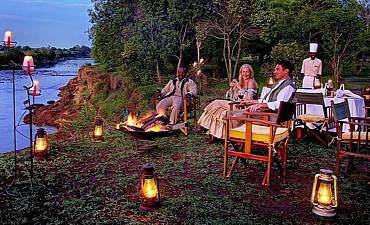 The chef can even prepare private dinners under the stars on your verandah, picnic baskets and bush meals. Planning your daily outdoor adventures is simple – discuss your wishes for specific species and wildlife behaviors, and your private guide knows exactly the best locations! With so many wildernesses to discover, you will need quiet time as a household to share and delight in your mutual bonding experience. Mara House is the perfect place for these cherished ménage moments. The house offers ample of space for family board games nights, lounging in relaxation to listen to your children tell delightful stories of their days, watching the activity at the watering hole and much, much more! If you prefer an upmarket, boutique family house in Masai Mara, we recommend Cottars Private Homestead in southern Masai Mara.